Below you fill find all funeral homes and cemeteries in or near Newtown Square. Suburbs of Newtown Square: Newtown Sq. Zip codes in the city: 19073. Some of the notable people born here have been: Bill Maas (american football player). It was disclosed on December 5th, 2018 that Ronald Gabriel Pomante died in Newtown Square, Pennsylvania. Pomante was 71 years old. Send flowers to express your sympathy and honor Ronald Gabriel's life. It was disclosed on April 28th, 2018 that Thomas H Jr Lewis died in Newtown Square, Pennsylvania. Lewis was 96 years old. Send flowers to share your condolences and honor Thomas H Jr's life. It was disclosed on January 28th, 2018 that Alicia Acamporta (Patterson) passed away in Newtown Square, Pennsylvania. Ms. Acamporta was 72 years old. Send flowers to share your condolences and honor Alicia's life. It was revealed on November 19th, 2017 that Claire Samaha (Ferris) passed away in Newtown Square, Pennsylvania. Ms. Samaha was 83 years old. Send flowers to share your condolences and honor Claire's life. It was disclosed on February 1st, 2015 that Joel A Hartman passed on in Newtown Square, Pennsylvania. Hartman was 85 years old. Send flowers to express your sorrow and honor Joel A's life. It was reported on February 1st, 2013 that Everett Arthur Niemala passed on in Newtown Square, Pennsylvania. Niemala was 90 years old. Send flowers to express your sympathy and honor Everett Arthur's life. It was written on January 13th, 2013 that Rodney G Brown passed away in Newtown Square, Pennsylvania. Brown was 97 years old and was born in Elkhart, IN. Send flowers to share your condolences and honor Rodney G's life. It was reported by Williamsport Sun-Gazette on January 13th, 2013 that Rodney G "Rod" Brown passed on in Newtown Square, Pennsylvania. Brown was 97 years old and was born in Elkhart, IN. Send flowers to express your sympathy and honor Rodney G "Rod"'s life. It was revealed by The News Tribune on October 7th, 2012 that Elizabeth Mabel Fredlund (Dennin) perished in Washington. Send flowers to express your sympathy and honor Elizabeth Mabel's life. It was disclosed by Morning Times on August 3rd, 2012 that Charles James Murphy died in Newtown Square, Pennsylvania. Murphy was 85 years old. Send flowers to express your sorrow and honor Charles James's life. Newtown was organized as the Townstead with the majority of early settlers being Welshman. 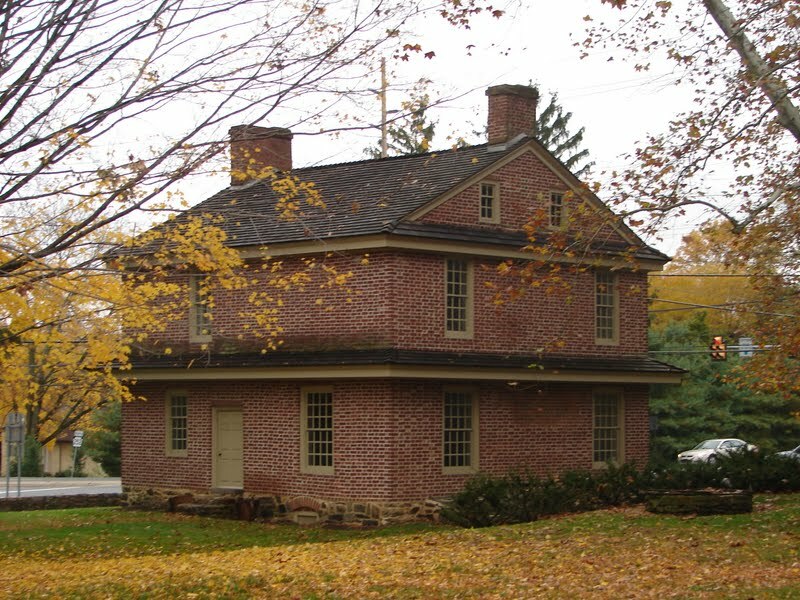 Newtown Township is the oldest township in Delaware County. In 1860, the population of Newtown Township was 830; the population of Philadelphia was approximately half a million. Farms were sold and the land subdivided. At this time, the railroad, so called the "Iron horse," was laying track out of Philadelphia in all directions with service to Chester, Media, West Chester, and Radnor..but not Newtown. Surviving are two daughters, Kathleen Luskus and her husband, William, of Newtown Square ... and nieces and nephews. Funeral services will be held at 10 a.m. Tuesday at the Bruce T. Hart Funeral Home, 110 North Second St., St. Clair, PA 17970. Here are the results for funeral homes in Newtown Square Pennsylvania. You can find some of the best funeral homes businesses serving Newtown Square. Over 100 year old family-owned & operated Donohue Funeral Homes in Newtown Square, West Chester, Downingtown, Upper Darby & Wayne, PA.
Funerals in Newtown Square, PA on Yahoo! Local Get Ratings & Reviews on Funerals with Photos, Maps, Driving Directions and more. Listing all funeral homes in Newtown Square, Pennsylvania so you can easily send flowers to any location (same day delivery) or find any funeral service. Find a map, directions and more for Donohue Funeral Home in Newtown Square, PA.
3300 West Chester Pike, Newtown Square, PA, 19073-4611. Phone: (610)353-6300. Category: Funeral Directors. View detailed profile, contacts, maps, reports and more. We work with local florists and flower shops to offer same day delivery. You will find budget sympathy flowers in Newtown Square here. Our funeral flowers are cheap in price but not in value.